You’ve just added a new car to your fleet, and the business is finally looking up. Quite a significant achievement there, to say the least. But, while a vehicle is a great asset if leveraged for profit, it can also be a source of multiple liabilities. Imagine getting paid $1,000 to deliver goods worth $20,000 only to end up causing a major road accident down the highway. Such an incident could end up with irreparable damages on the goods, plus extensive structural and engine destructions affecting all the vehicles involved. If you’re lucky, the driver might walk away unscathed. And possibly only incur costs for repairing your vehicle. Otherwise, you risk liabilities for not only the goods in transit but also third-party vehicles and their corresponding occupants. Thankfully, no fault coverage is one of the legal requirements for all drivers in Michigan. Hence the consequent average rate of $2,394, which is ranked highest in the country. Seems quite solid when you read through Michigan’s laws. But strangely, this is where things get a bit interesting. Your insurance company’s agents might smell your inexperience from a mile away. Then capitalize on it by quoting a premium that’s way higher than that state average. And that would only cover basic legal insurance. If they beat you at the negotiating table, you might end up paying that premium for quite some time. And just when you assumed that such a high figure would guarantee optimal protection, an accident proves otherwise. A small technicality ends up disqualifying you from possible compensation. It might seem unfair, but that’s how capitalism works. That’s why it’s critically important to be extremely analytical when choosing an insurance company. Fortunately, Michigan is a comparatively extensive market, with multiple insurance providers offering varying coverage at different price ranges. One of the most prominent companies right off the bat is AAA Auto Insurance. AAA Auto Insurance is well-known for a good reason. To begin with, it’s more than a century old. Well, not technically as an insurance provider. It only started out as a lobbying body in 1902. At that time, it was known as the “American Automobile Association”. It essentially provided automobile services to improve overall road safety. As a matter of fact, AAA went ahead an established a school safety program 18 years later. Consequently making it a pioneer in running driver safety programs. Auto traffic in America was, of course, considerably low at that time compared to modern trends. But road safety was still a fundamental concern. Especially since car safety features were not that developed. 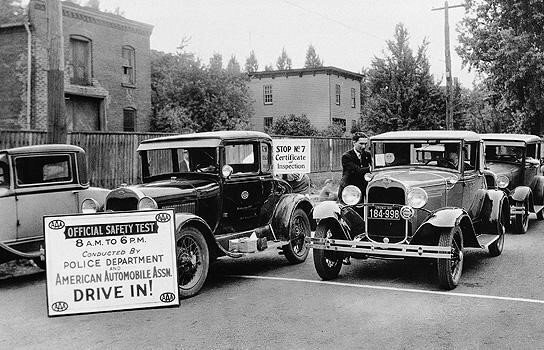 AAA continued spearheading safety campaigns until 1947. It then achieved yet another milestone. And ended up establishing the AAA Foundation for Traffic Safety. It continued diversifying its services throughout the century. All fundamentally aligned to traffic safety. This long history ultimately won the association the U.S Transportation Department distinction. Basically as Clinton administration’s principal road safety partner in 1998. Currently, AAA is not just a roadside assistance organization. It is made of 51 autonomous clubs. All specializing in a wide range of services. In addition to roadside assistance, some of the chief ones include auto insurance, financial services and travel planning, just to name a few. This has seen it attract more than 50 million members across a wide range of states, including Michigan. So, what insurance products does it offer for Michigan residents? 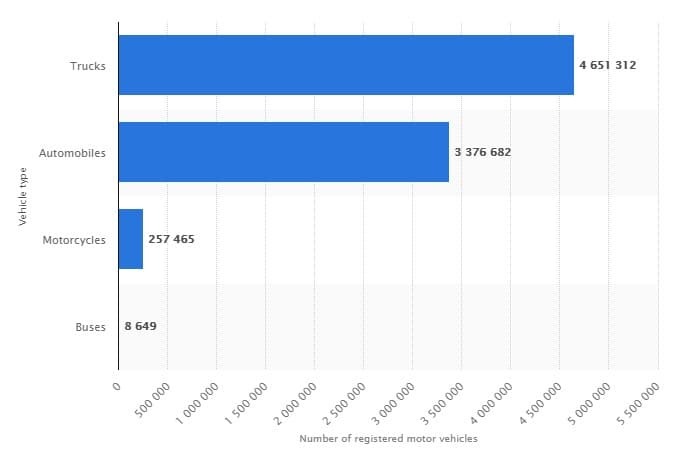 There are over 8 million private and commercial vehicles in Michigan. Consequently translating to a wide pool of drivers. To position itself competitively against other insurance providers, AAA Auto Insurance attempts to cater adequately to this extensive market. ● No Fault Coverage: This is a compulsory requirement according to Michigan Law. It’s a Personal Injury Protection insurance that caters for any medical bills incurred by your car’s occupants. It applies to all accident situations, regardless of the party at fault. ● Underinsured/Uninsured Motorist Coverage: 20.3% of the drivers in Michigan are uninsured. If any of them causes an accident, this coverage qualifies you for compensation for personal injuries and vehicular damages. ● Comprehensive Coverage: Applies to car damages caused by non-collision incidents. For example natural calamities and weather factors. ● Collision Coverage: Applies to vehicular damages caused by a road accident. ● Bodily Injury and Property Damage Liability: Pays medical bills and car damage costs of third parties when you’re at fault in an accident. ● Non-owners Insurance: If your car is driven by individuals who don’t own vehicles, this should cover their resultant liabilities. ● Rental Car Coverage: Covers corresponding liabilities when you rent a car. ● Rental Car Reimbursement Coverage: Provides you with a rental car while the company works on your vehicle after an accident. ● Gap Insurance: This applies to individuals who lease vehicles or have outstanding auto loans. If the car is totaled, this compensates the cost difference between replacement and the outstanding lease or loan balance. 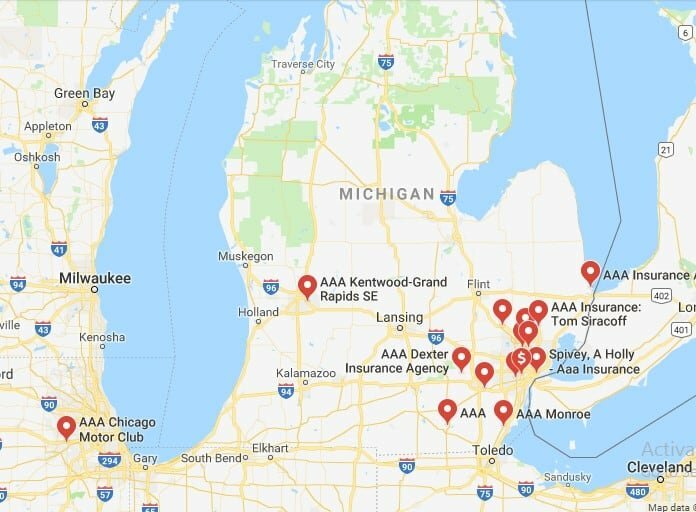 AAA Auto Insurance has firmly secured its position in Michigan. It operates through tens of AAA branches distributed evenly throughout the state. To find the closest branch, simply visit its Michigan site and enter your ZIP code. Various offices will be subsequently listed according to distance. AAA Auto Insurance, unfortunately, is an exclusive service only open to AAA Members. This requires you to apply for either of the three membership programs to be eligible. While Classic membership costs $52 in Michigan, Plus goes for $87, while Premier will set you back $117. These, of course, might seem like added fees at first. But they are all worthwhile when you consider the extra services. The basic element that sets this company from the rest is the fact that it’s not just an insurance provider. If anything, insurance is barely a component of its services. AAA is essentially a holistic organization that provides a comprehensive set of services critical to road safety. That’s pretty much how it has managed to grow from 1500 to 50 million members. ● Roadside Assistance: The membership programs come with varying levels of roadside assistance services like fuel delivery, towing, battery boost and tire change. They are all offered round-the-clock. ● Deals and Discounts: You qualify for deals on discounts on a wide range of facilities associated with AAA. They range from basic travelling amenities like car rentals and hotels. Plus gadgets like cell phones and eyeglasses. ● Trip Planning: You’re granted access to a wide range of travel guides travel guides that assist in planning trips. As a result, you get detailed maps to find essential amenities like gas stations, restaurants and hotels. Because of the extra services, the popular assumption has always placed AAA auto insurance on the costly end. But, surprisingly, the provider has always maintained considerably competitive insurance quotes. While the pricing of individual coverage differs by state, AAA has managed to hold on to the strategically competitive cost trend across all the regions. Basically, AAA auto insurance might not have the absolute cheapest premiums. But it also doesn’t come close to the most expensive auto insurance quotes. When various parameters are reviewed, the provider continues to maintain below-average pricing both monthly and annually. All ranking considerably well against its major competitors. And that’s not all. You can still lower your premiums further. By taking advantage of a wide range of possible discounts. This should be especially easy to achieve if you consult a well-informed independent agent. One with an exceptionally good analytical eye for detail. ● Student Away From Home: Entitles you to up to 15% discount if a young driver schools at least 100 miles from home. But goes to school without the vehicle. ● Good Students: Reduces the premium by up to 15% for good school grades by a young driver. ● Paid in Full: Applies 5% discount when you clear the entire auto insurance premium. ● Advance Purchase: Reduces overall cost by 5% after paying for the policy at least a week before your current policy lapses. ● Longevity: Qualifies you for a discount of up to 12% if you’ve been with your previous auto insurance provider continuously for 36 or more months. ● Low Mileage Discount: Reduces your premium by up to 12% when low mileage has been verified on your car. ● Association with Professional Groups: Applies a discount of up to 10% when you have connections with professional or affinity groups. Filing a claim with AAA auto insurance is pretty simple and straightforward. The process begins online. And it’s always advisable to first seek help from an independent insurance agency. After accessing your AAA club’s website, proceed to the Insurance drop-down menu and click on Make an auto insurance claim. Then enter all relevant details including incident particulars, car specifications and personal details. The insurance company will finally get in touch with you through the contact information given. While online customer reviews can be good indicators of the expected experience, they have a major downside. An overwhelming majority of customers don’t bother to document their experiences. And those that do are only compelled by unpleasant experiences. That said, it’s worth noting that AAA Auto Insurance has attracted its fair share of poor reviews. And even more positive reviews in not only Michigan but also other states. This has seen it get an above-average rating of 0.55 from the National Association of Insurance Commissioners. A.M Best Insurance Rating, on the other hand, awards the provider a rating of “A+”. Only a minority of customers have expressed concern over the complicated process of cancelling policies. Others have complained about increasing premiums. But this is a phenomenon we’ve previously established as an industry standard. The rest of the policyholders continue to praise it for timely roadside assistance and a stress-free claim process. It’s a financially stable company that continues to honor its customers’ claim demands. AAA Auto Insurance might not be the cheapest insurance provider on average. But it comes with a whole lot more than basic insurance. Definitely a good option to consider if you fancy an all-rounded club. Plus, it reportedly continues to honor its customers’ insurance claims. All in all, it’s still possible to secure all these benefits at a substantially lower price. All you need is to strategically raise your negotiation stakes by working with an independent insurance agency. A reputable one with experienced professionals will not only show you how to capitalize on membership deals. They will also promptly identify all the discounts you’d be eligible for. And, of course, they will assist you to effectually compare AAA Auto insurance with other possible options. ● No fault coverage is one of the legal requirements for all drivers in Michigan. ● It’s critically important to be extremely analytical when choosing an insurance company. ● AAA only started out as a lobbying body in 1902. At that time, it was known as the “American Automobile Association”. ● AAA Auto Insurance has more than 50 million members across a wide range of states, including Michigan. ● AAA Auto Insurance provides a wide range of coverage tailored to varying needs and possible liabilities. ● The company operates through tens of AAA branches distributed evenly throughout the state. ● AAA is essentially a holistic organization that provides a comprehensive set of services critical to road safety. ● When various parameters are reviewed, the provider continues to maintain below-average pricing both monthly and annually. All ranking considerably well against its major competitors. ● AAA Auto Insurance gets an above-average rating of 0.55 from the National Association of Insurance Commissioners. A.M Best Insurance Rating, on the other hand, awards the provider a rating of “A+”. ● AAA Auto Insurance might not be the cheapest insurance provider on average. But it comes with a whole lot more than basic insurance. And now for the big question. How does this company compare with your current insurance provider? Do you like your current choice? Why?